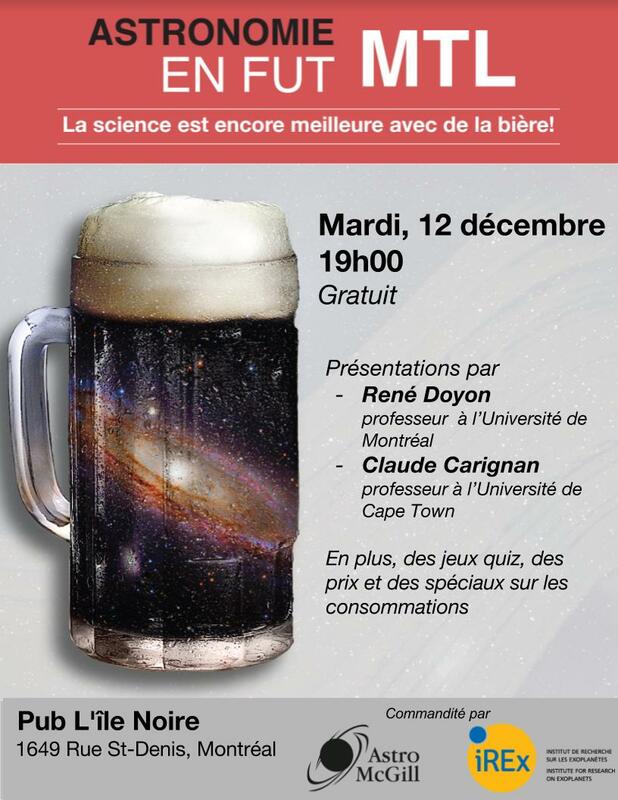 Astronomy on Tap – MTL in French will take place at Pub l’Île Noire, on December 12th, 7:00PM. Don’t miss it! The places are limited, arrive early!